A Road Trip to See…Cars? The photo club took a field and trip and what a wonderful one it was! Old Car City in White, Georgia is home to acres of rusted cars and car parts, with trees and vines growing over and through them. Pollen that stuck to the windows left patterns once it was washed away by rain. Details and the whole. Both so compelling. 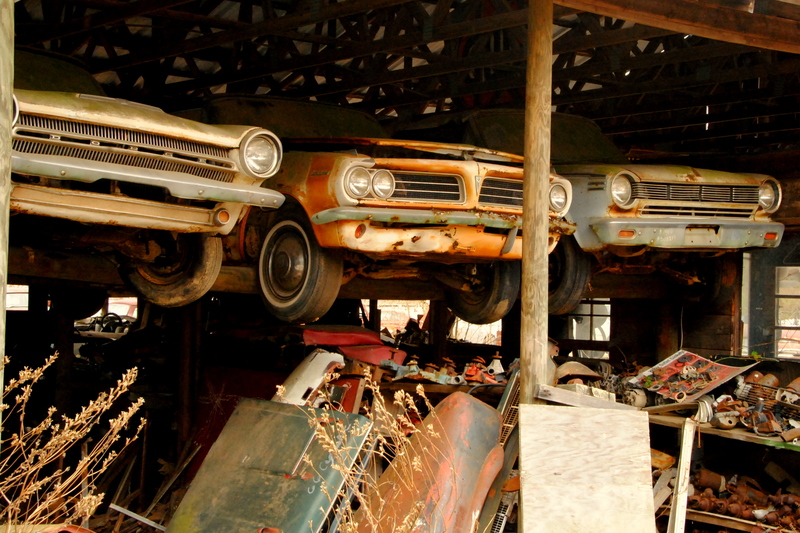 Are junkyards particularly American? We certainly find them fascinating–they’re the stuff of lore with ferocious dogs. And now tv shows abound. Perhaps it’s the possibility of a find. The reality that one girl’s trash is another girl’s treasure (a friend used to throw a dating party in our 20’s with that name: bring a guy you aren’t dating and hope to find someone else’s platonic friend attractive to you!). Want to go yourself? Call ahead. We had to arrange a time and paid a $10 fee. Does everyone have to do that or only sucker photographers who will do anything for rust and dappled light? I think junkyards might be a very American thing 🙂 I’ve never seen them (at least not in that size) anywhere else in the world. So, for me they’re a thing I’ve only ever seen in American movies. Have you visited the Cadillac Ranch in Amarillo, TX? That’s a destination with old, rusty cars for you. And you can spray paint on them! I haven’t been to the Cadillac Ranch yet, but it is DEFINITELY on the list. I didn’t know you could spray paint them! It just moved up on the list! Thanks for the tip! No problem 🙂 If you like rust, you’ll love it. Bring your own spray paint though. There might be some leftovers, but you can’t count on it. Oh my goodness, this is right around the corner from me, and I didn’t even know it was there! I will definitely need to check it out!